Its been in “development hell” since 1986, and Hollywood moguls seemingly all played a winded round of hold em before the Watchmen project came to fruition. Take a walk down memory lane with us, and get a gander at some of the scripts that were lost in the production shuffle. If you feel like reliving the pain again, you can read the whole sordid history of the Watchmen film on Wikipedia. In August 1986, the Watchmen film rights belonged to Twentieth Century Fox, with Joel Silver slated to produce the project. When Watchmen writer Alan Moore declined to write the screenplay, the studio tapped screenwriter Sam Hamm to write the script. The project never took off, and Fox placed the project on turnaround. Sam Hamm’s screenwriting credits include feature films Never Cry Wolf, Batman, Batman Returns, and Monkeybone. 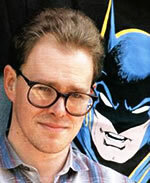 Hamm also created the short-lived television series M.A.N.T.I.S. in collaboration with Sam Raimi. In October 2001, Universal Studios signed screenwriter David Hayter to write and direct Watchmen in a “seven-figure deal.” Hayter completed his script in July 2003, but, unfortunately, producer Gordon and the Watchmen project parted from Universal due to creative differences. Voice actor, actor, and screenwriter, Hayter is most notable for providing the voices of Solid Snake and later Big Boss in the popular Metal Gear Solid series. His screenwriting credits include X-Men and X2: X-Men United. In June 2006, Warner Bros. announced that Zack Snyder would direct Watchmen with Alex Tse writing the script. 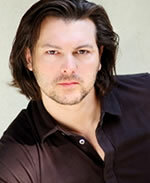 Tse drew the best elements from two of the project’s previous drafts written by David Hayter. Tse’s first draft kept the previous version’s modern day setting. According to Zack Snyder, the final shooting script returns to the original 1985 Cold War setting of the Watchmen comic, although it is still quite different from Alan Moore's original text. Tse produced rap videos and worked part-time for Miramax and Disney until he sold a script called 87 Fleer to Showtime. Later, he wrote Sucker Free City, which was directed by Spike Lee. Shortly before Watchmen went into production, Alex Tse took another screenwriting job and was unable to put the finishing touches on the shooting script. As a favor to Tse and Zack Snyder, Roberto Orci and Alex Kurtzman (The Island, Transformers) devoted four weeks to an uncredited last-minute polish of the screenplay. The changes they made are unknown. 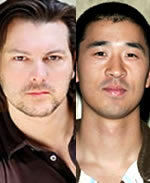 In May 2008, David Hayter confirmed in that he would be sharing screenwriting credit for the movie with Alex Tse. While Tse’s draft had many elements carried over from Hayter’s draft, it is currently unclear how many of those elements survived the rewrites by Orci, Kurtzman and Zack Snyder.